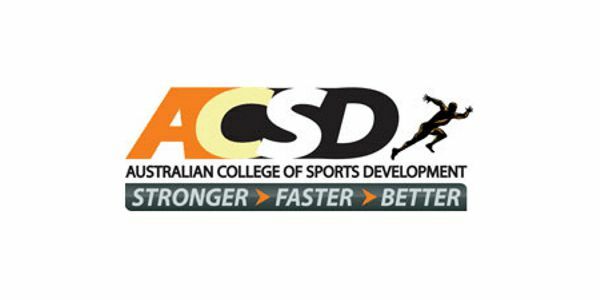 Through the Australian College of Sports Development (ACSD), in the absence of a government oversight, how can a club protect itself from lawsuits and other threats? It starts with a culture of self-regulation, where the industry protects its own to benefit all, including the pupils. That’s according to Mr Barry Johnston, founder of the Australian College of Sports Development (ACSD), a training organisation responsible for the education and training of sports practitioners. “This is not about imposing restrictive legislation on the sport, it’s about voluntarily coming in from the cold – before government regulation tries to do it for you – and being seen to do the right thing”, he said. “Trained practitioners, who are responsible for raising up the next generation of martial artists and up to date with the very latest in the safety aspects of the sport not only benefit their pupils, they have the additional benefit of acting as the best PR there is; demonstrating that we’re a sport taking safety seriously,” says Johnston. Dr Richard Bradford agrees. 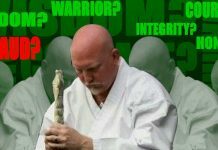 Bradford, who served as the Australian national karate coach between 1977 and 1993 and is now with the Chinese national team, said the old model was based on a martial artist training to a certain level and then be unofficially qualified to teach others. Bradford added that the benefits are many, including the fact that a properly educated and qualified instructor can yield all the latest information on health, fitness and nutrition into the dojo, which enhances the experience for pupils. Johnston has taken the success of the Australian business to launch a model for the United States. In early 2012, Johnston launched the American College of Sports Development (ACSD), heralding a new approach to industry self-regulation in North America. The ACSD took a customized direction that not only was influenced by the business conditions in Australia, but focused on the unique needs of the US industry. “We researched the American market extensively and discovered parallels to the Australian conditions, in particular the need to mitigate risk,” said Johnston. While the numbers are sobering, with the right qualification and training, risk to both pupil and instructor can be minimized. Says Bradford; “It’s a no-brainer. Most parents enrolling their child in a club will choose the one with the best qualified instructors.” It IS a no brainer. Do you become the club with the best-qualified instructors – or do you allow your competitor to become that club? And it is not merely injuries that challenge the industry, both for trainers and students alike. With the recent charges against Jerry Sandusky at Penn State or Steve LaValle allegations in martial arts, the issue of appropriate behaviour around minors, particularly in the coach/pupil environment, has, rightly, never been more acutely observed. Johnston says that while it is to be hoped that alleged pedophiles in any sport are extremely rare, nowadays, any adults working with juveniles, particularly in a sport than involves physical contact, place themselves at risk of molestation/abuse allegations if they aren’t fully aware of appropriate behaviours around kids. “What once was passed off as innocent contact can nowadays have the potential to be misconstrued as inappropriate or worse. Club owners need to remember– you are responsible for the behaviours of your instructors. Proper training and qualifications in appropriate behaviours when working with minors can help protect the reputation of you and your club,” he said.